"Every time I got back to the dormitories, I wouldn't want to move. 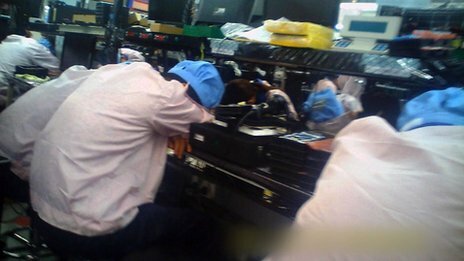 "We are aware of no other company doing as much as Apple to ensure fair and safe working conditions. "I worry about landslides. The earth slipping from up there to the bottom. It could happen." "But that would also be the lazy and cowardly path, since it would do nothing to improve the situation. We have chosen to stay engaged and attempt to drive changes on the ground."